To restore the camera to its original factory settings, you can perform a settings reset. The process to reset a camera back to the original factory settings differs depending on the type and model of camera. 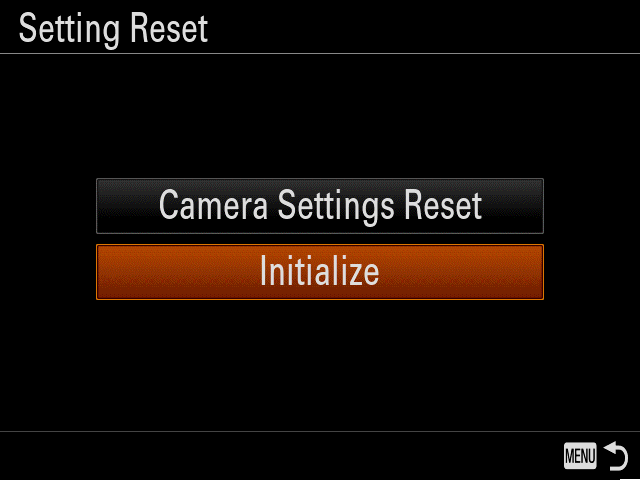 Using an Initialize or Setting Reset option in the menu or pressing a small RESET button on the camera. Depending on the make and model of your camera, you can also reset just the network settings or just the shooting settings. To determine the reset or initialize method for your camera, refer to the operating instructions supplied with the product. Online manuals can easily be searched for the words "Reset" or "Initialize" to determine the method for your camera. Locate model number for your camera. On the support site, find support for your camera either from entering your model number in the product support search box or browse for your model number. The operating instructions or online manuals for your camera can be found from the manual tab of the model support page. If you are using a camcorder, refer to the following FAQ. Be sure not to turn off the camera while resetting is in progress. If you are using a model that supports PlayMemories Camera Apps, when you perform Initialize or Setting Reset, applications downloaded to the product may be uninstalled. To use these applications again, reinstall them. Even if you use this function, all movies and photos are retained. If an error code beginning with C: or E: is displayed on the camera’s LCD screen, resetting may not resolve the issue. After the camera reboots, the time and date settings menu will be displayed. Follow the on-screen instructions to complete the initial settings. Since cameras have different menu system layouts, refer to the instruction manual specific for your camera model. If you want to reset just the shooting settings, do not select Initialize. 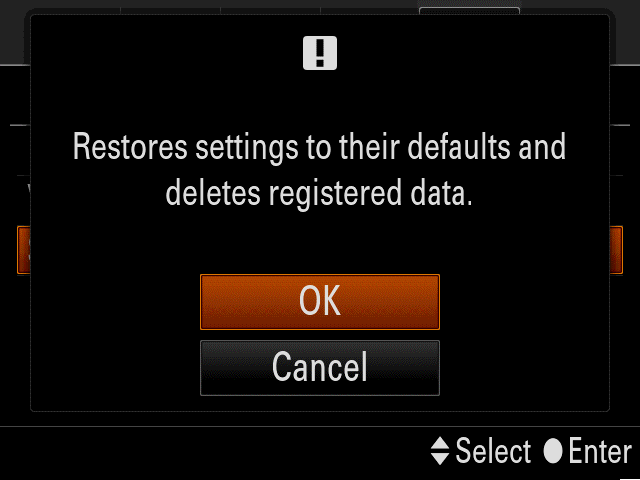 Instead, select Camera Settings Reset or REC Settings. Locate the RESET button on the camera. Only some models have a RESET button. Refer to the manual supplied with your camera to determine whether it has a RESET button or identify the location of the RESET button. The RESET button on lens-style cameras is near the Multi Terminal. Use a pointed object (like a ballpoint pen) to press and hold the RESET button for 2-3 seconds. After 2-3 seconds has elapsed, release the RESET button. 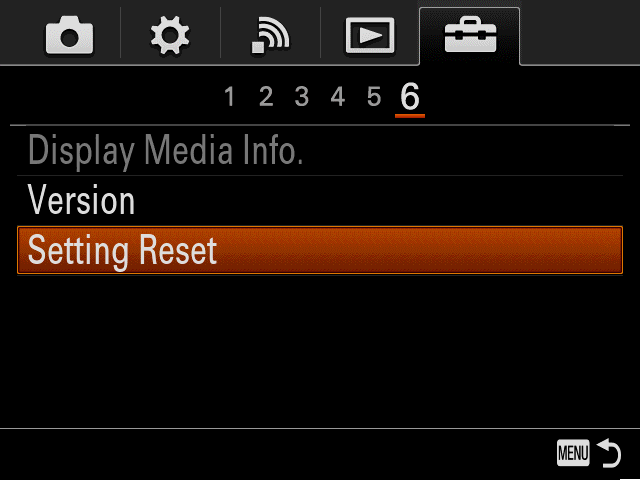 What is the difference between Reset Default / Camera Settings Reset and Factory Reset / Initialize? How to reset a camcorder back to its original factory settings. Can the unit be reset back to the factory settings?